Through the UNESCO Associated Schools Project (ASP) network and the Azorean Eco-Schools Project, the EBI Francisco Ferreira Drummond School started Sandwatch activities at S. Sebastião, Terceira Island. 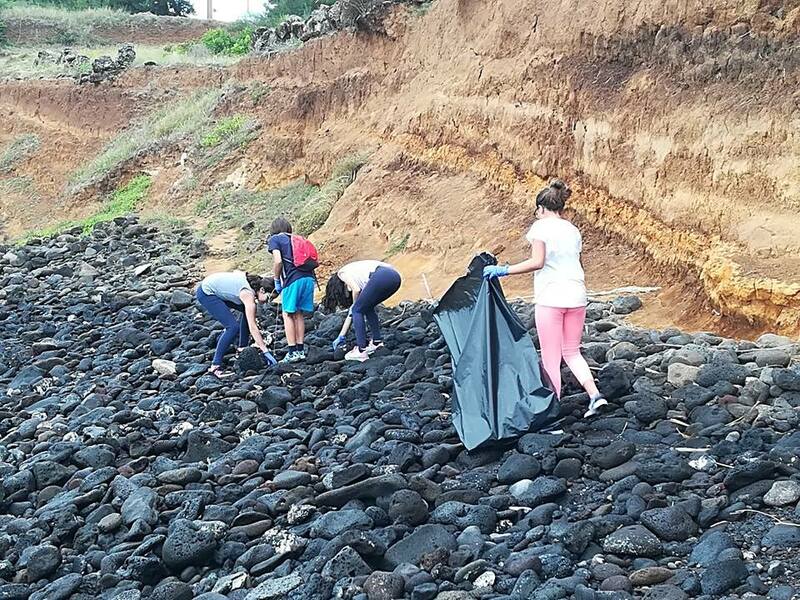 Our school has been working in the Sandwatch Project since 2015, in Terceira Island, Azores, Portugal, but this year we took the project to an all-new level. 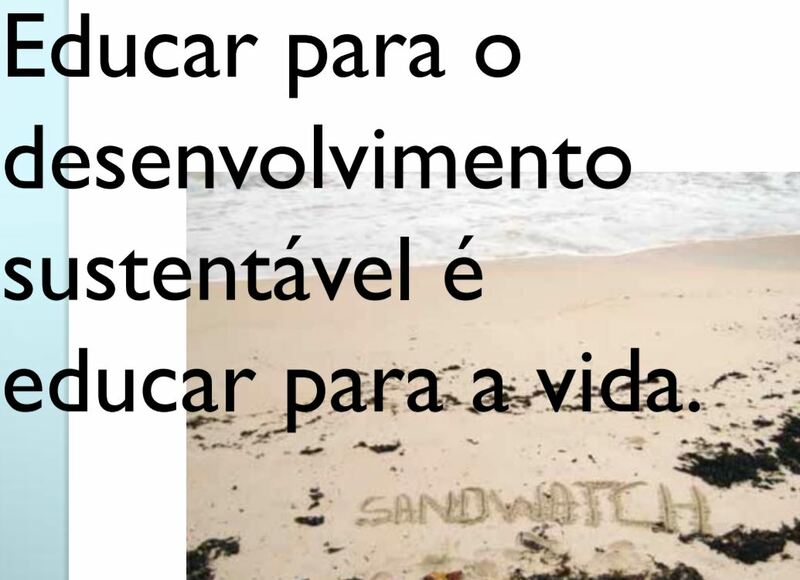 We have applied to a Portuguese Government project of curricular autonomy and flexibility and we have committed our 7th graders and the Sandwatch Project to this application. 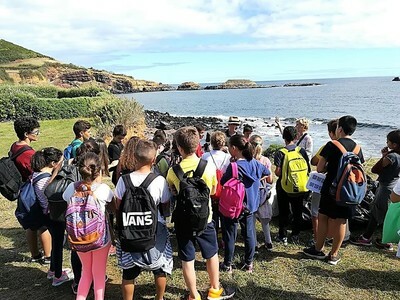 Therefore, we have a curricular support for Sandwatch activities this year at school, which are held by our 7th grade students and teachers, within the curricular subjects they are supposed to attend. 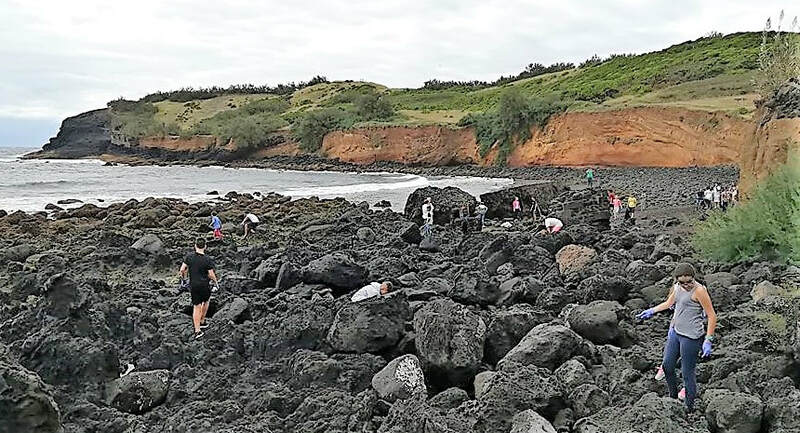 The curricular project also implies weekly staff meetings, so by now the project is widely spoken of in our school and community. 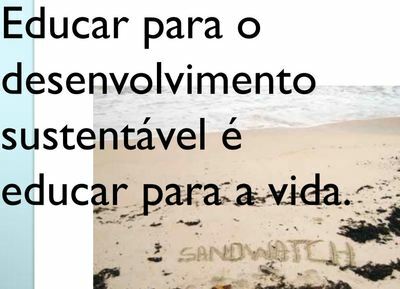 Also, the Sandwatch Manual is very handy and helpful in designing educational activities. 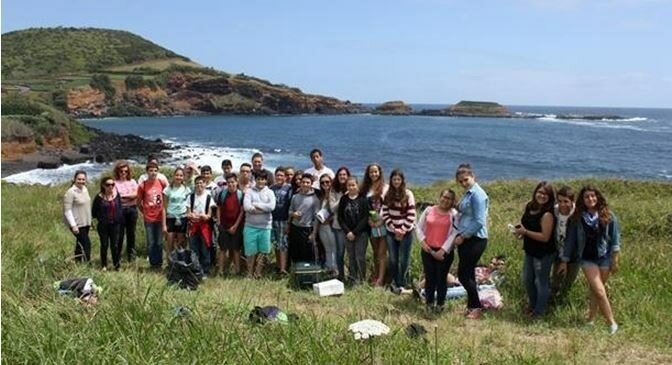 We chose a nearby bay, Baía das Mós, a very rich spot both in natural and historical terms, and started the project with a field trip, in September; from this first contact, students decided to promote an exhibition at school to involve the community in their work and we have already made another field trip in December, to collect specific information on several curricular subjects. 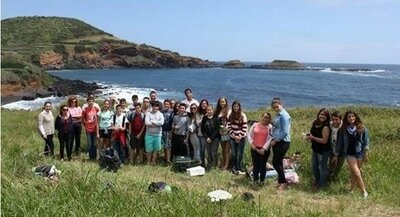 The exhibition is scheduled for the School Day, the 26th January of 2018 and, from that day on, we still have to plan new activities, all of them involving our bay, Baía das Mós, under the framework of the Sandwatch Project. 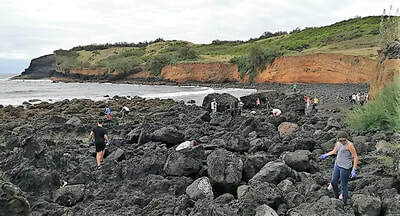 We have taken photos of the activities taking place there which will be on our Sandwatch homepage and includes garbage removal, water temperature measurements and rock sample collection, but I think some location pictures will be helpful, taken from Google Earth, and included (right) to show people where we are located on the globe. 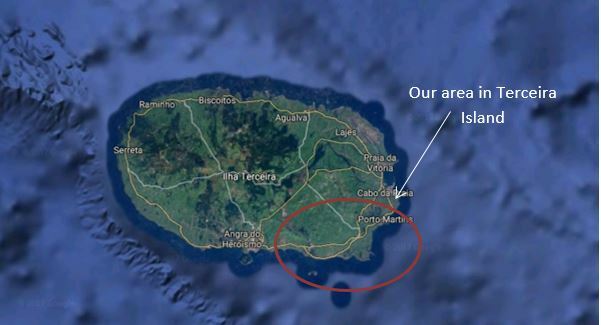 EBI Francisco Ferreira Drummond is located in S. Sebastião, Terceira Island, in the Azores, (islands in the middle of the North Atlantic Ocean) Portugal. 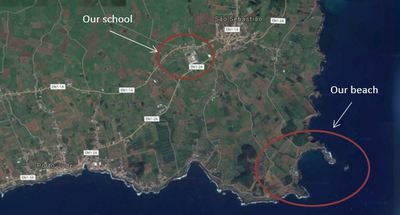 We provide education to 600 students, from 3 years old to 15 (9th grade). 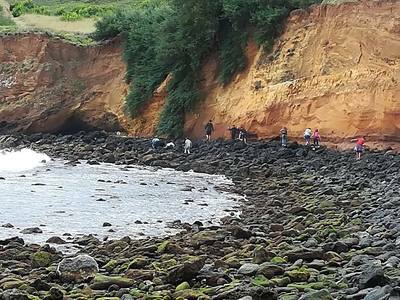 Our school is also an UNESCO Associated School – ASPNet School. 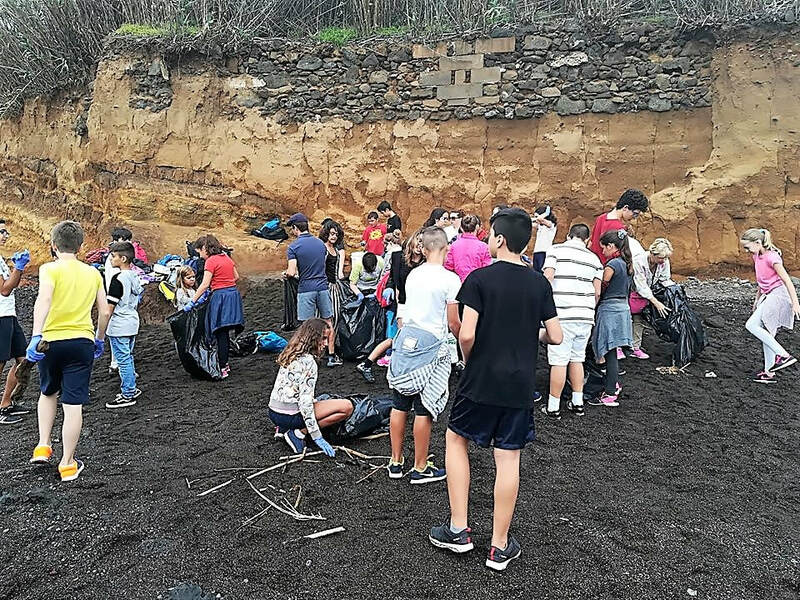 As an ASPNet school as well as in the Azorean Eco-Schools Project, we decided to introduce the Sandwatch/UNESCO project in our school as a project to help development of civic and environmental education and protection, particularly in the coastal environment. 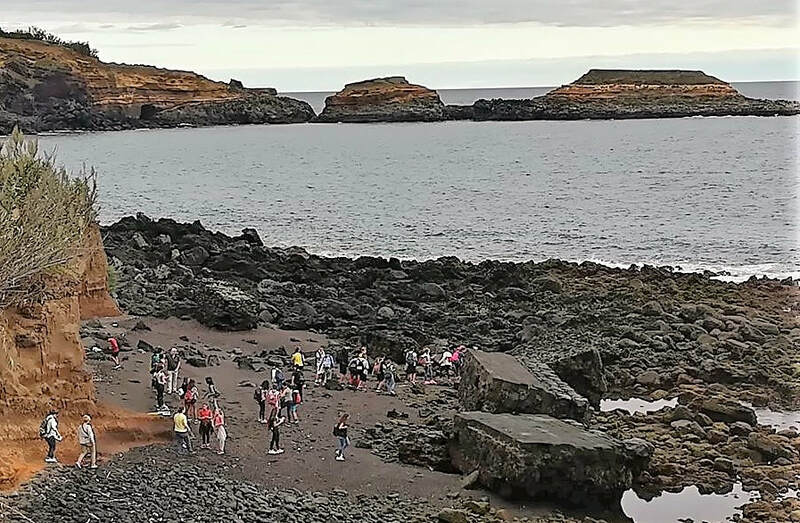 On June 11th, 2016, the school undertook its first set of observations and recordings of several natural and man-made features of selected bathing areas like Baía da Vila, Baía das Mós, also known as Baía da Mina, Baía da Salga, and 2 spots in Porto Judeu. This educational activity aimed at recording biodiversity, human activities in the area, erosion evidence, bathing area material, pollution, buildings in the area, sea conditions and objects in the sea, according to the Sandwatch manual. 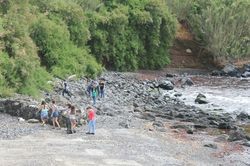 The students also drew a sketch map of the area and conducted a beach clean-up. The activity involved 104 students, 10 teachers and five other staff members. EBI Francisco Ferreira Drummond is located in S. Sebastião, Terceira Island, in The Azores, (in the middle North Atlantic) Portugal. We provide education to 600 students, from 3 years old to 15 (9th grade). 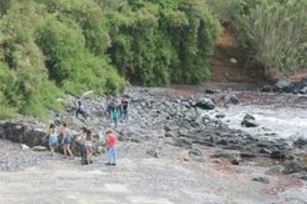 Our school is also an UNESCO Associated School – ASPNet School. As an ASPNet school as well as in the Azorean Eco-Schools Project, we decided to introduce the Sandwatch/UNESCO project in our school as a project to help development of civic and environmental education and protection, particularly in coastal environment. On June 11th the school undertook its first action of observation and record directed simultaneously to several natural and humanized features of selected bathing areas like Baía da Vila, Baía das Mós, also known as Baía da Mina, Baía da Salga, and 2 spots in Porto Judeu. 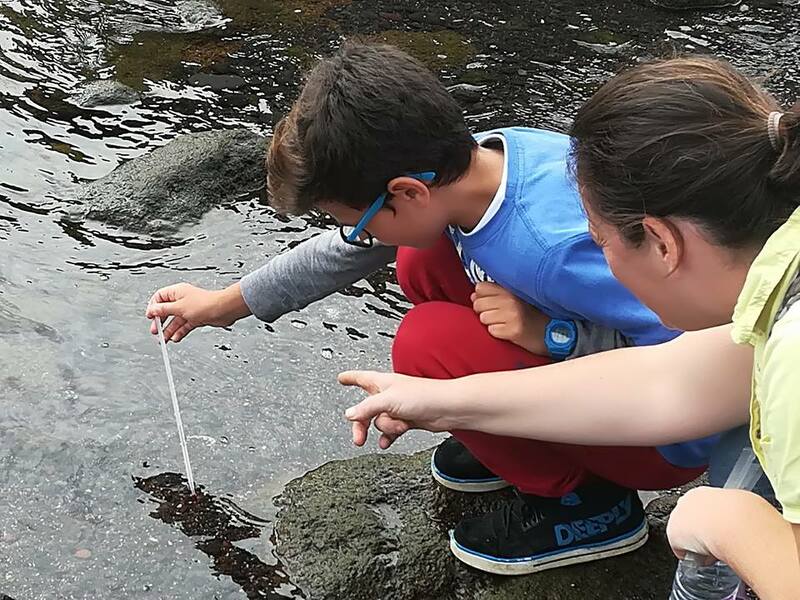 This educational activity aimed at recording biodiversity, human activities in the area, erosion evidences, bathing area material, pollution, buildings in the area, sea conditions and objects in the sea, according to the Sandwatch manual. 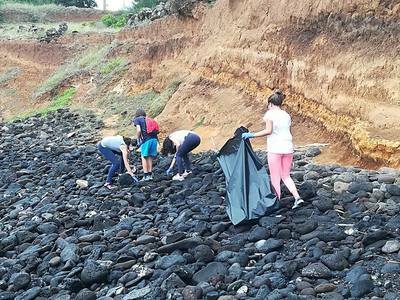 The students also draw a sketch map of the area and conducted a beach clean-up. 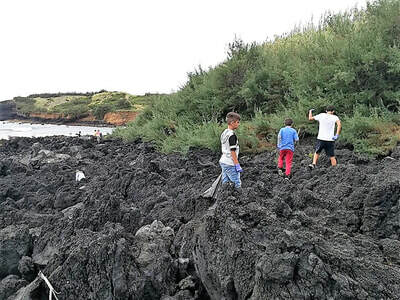 The activity involved 104 students, 10 teachers and five other staff members.